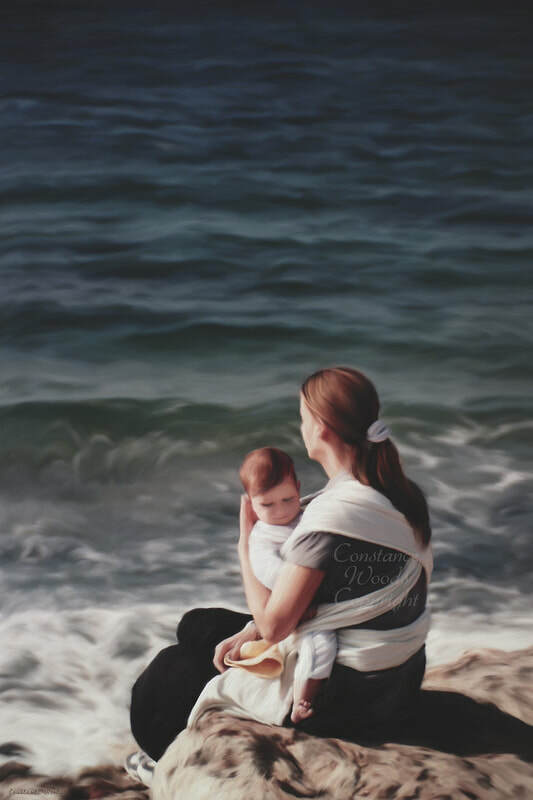 Inspired by a Jewish mother with her baby on the Mediterranean at Tel Aviv, Israel. "You knit me together in my mother's womb. I will confess and praise You for you are fearful and wonderful, and for the wonder of my birth! Wonderful are your works, and the my inner self knows right well. My frame was not hidden from You when I was being formed in secret, intricately and curiously wrought as if embroidered with various colors in the depths of the earth."